English progressive rock band Van Der Graaf Generator have been going strong since reforming in 2005 after a 27-year hiatus. The current formation of the band includes founding member Peter Hammill and long-time bandmates Hugh Banton and Guy Evans. 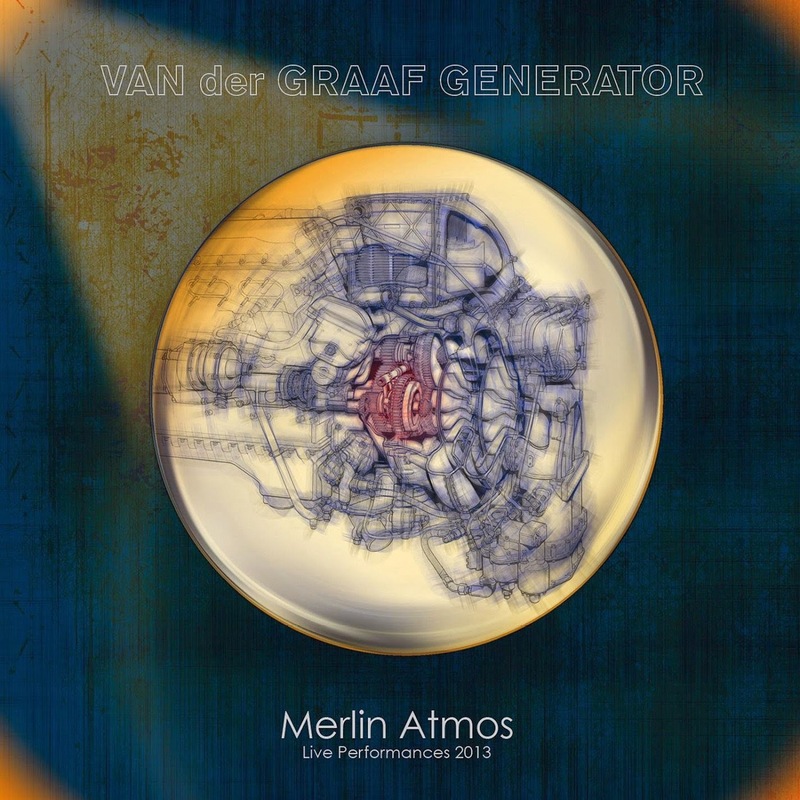 The group's most recent release is a double-live album "Merlin Atmos" recorded live in 2013 and released back in February through the Esoteric Antenna label. The new thirteen-song release shows the power of this band in the perfect setting, live. They begin with the grand, 21-minute epic "Flight," that feels like a short rock-opera within the performance. Hammill's storytelling vocals sets the dark overtones of "Lifetime," before the band showcases their heavier rock side on "All That Before." The highlight of the first disc is the rare, full 24-minute performance of "A Plague Of Lighthouse Keepers" as the many different time signatures display the amazing talents within this trio. The second disc entitled "Bonus Atoms," begins with the intense back and forth tempo of "Interference Patterns," from their 2008 album "Trisector." The slow build-up of "Scorched Earth" still carries that mid-seventies vibe of the original release almost forty years later. The mostly instrumental "Meurglys III, The Songwriter's Guild" is a nice addition as the band jams for 15 minutes before closing the disc with the slow blues of "Man-Erg" and the passion of Van Der Graaf Generator's concert staple "Childlike Faith In Childhood's End." To find out more about this release, please visit vandergraafgenerator.co.uk. Italian Progressive Rock band Not A Good Sign recently released their sophomore album "From A Distance" at the end of February. After saying goodbye to founding member Francesco Zago, Not A Good Sign have added new guitarist Gian Marco Trevisan to the band, keeping this a five-piece powerhouse with great potential. The new ten song release begins with the classic seventies prog-rock sound of "Wait For Me" as the band shows their influences early. The keyboards lead the way on this Genesis like feel of "Going Down," while the band shows off their wonderful musicianship in the four-minute gentle instrumental "Aru Hi No Yoru Deshita." Not A Good Sign finally come into their own with the harder rock edge of the "Pleasure of Drowning" and continue with the album's highlight, "Open Window," which has the perfect balance of modern sounding progressive rock with a touch of that classic rock appeal. The album closes with the short, two-minute "Farewell," which is a peaceful flowing piano and flute interlude. 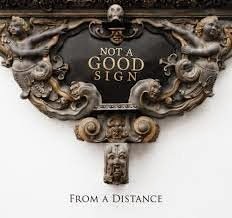 To find out more about Not A Good Sign and their latest release "From A Distance," please visit notagoodsign.org.